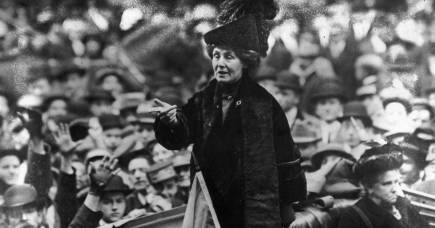 When the Great War broke out, female doctors were famously told to “go home and sit still”. But a group of remarkable women refused. In 1914 Mary De Garis was the resident surgeon in Tibooburra, one of the most remote outback towns in NSW, close to the edge of the Strzelecki desert, when she heard of a war in Europe and resolved to enlist. She had arrived in the arid farming community three years earlier, via the grazing town of Muttaburra, leaving the comfort of her affluent background to follow the rare opportunities for female doctors. When Britain declared war on Germany, she had been engaged to a local farmer and captain of the cricket team, Colin Thomson, for ten days. As the First World War broke on a Europe that could not have envisaged the devastation of trench warfare, Mary immediately understood the demands it would make on her vocation. The war was a call to patriotic duty, but it was also an extraordinary test of the limits of the profession, and would elicit vast advances in medicine: plastic surgery, psychiatry, and innovations in the treatment of wounds, broken bones and disease were all to emerge from the ruins. Roused to serve, the newly engaged couple enlisted and Colin sailed for Egypt, headed for Gallipoli. Mary’s enlistment to the Australian Army Medical Corps, however, was flatly refused. 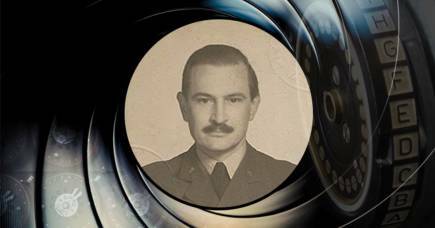 In the sweeping social changes of the early twentieth century, great forces were colliding. The pressures in Europe that were to spill into a global war, were to also burst upon a world in flux. Women doctors such as Mary were drawn to war out of patriotic duty, but also out of ambitions for equality that arose from the struggle for women’s equal rights. 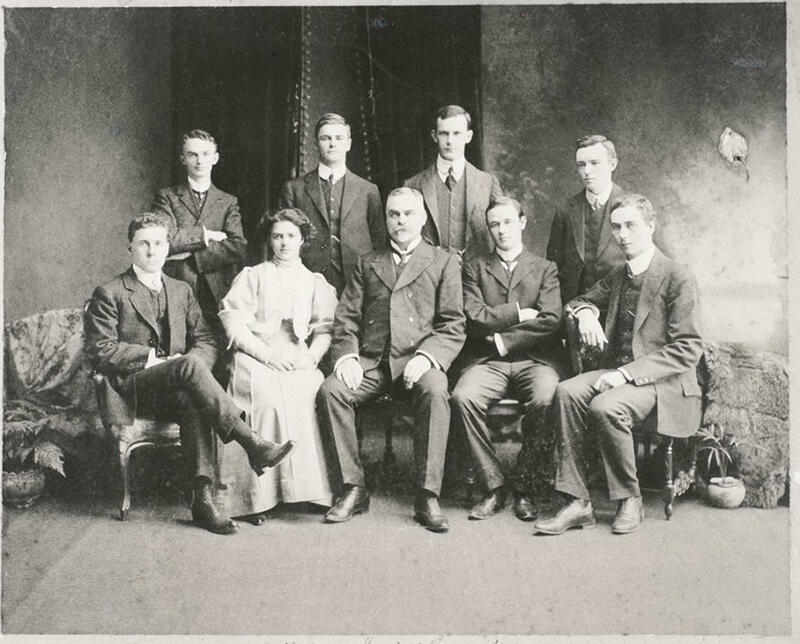 Mary had enrolled in medicine at the University of Melbourne in 1900, becoming only the 31st woman to do so. 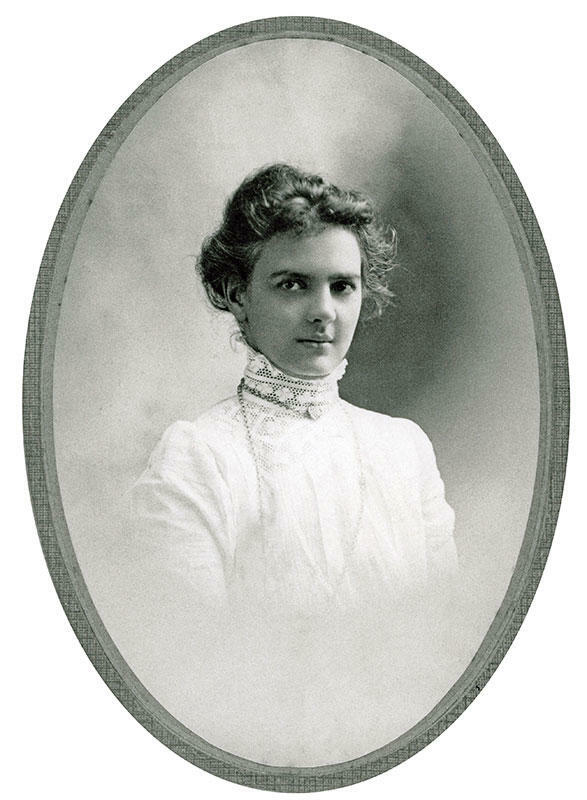 The path to admission for women had been won several years earlier by Helen Sexton and Lilian Alexander, who garnered support through the press and family connections, securing the University council’s approval in 1887. At a time when women did not yet have the vote, seven women, including Helen and Lilian, enrolled, entering a profession that was generally seen as too difficult, too unseemly and too powerful for women. By 1914 there were 130 women registered as medical practitioners in Australia, but access to hospital residencies and clinical appointments were highly restricted. Helen Sexton, who became the 3rd woman to graduate, had found a way around these restrictions by helping to found the Queen Victoria Hospital for women in 1896. She built a considerable reputation for her surgical skills as head of the operating theatre, a position she held from 1897 -1910. She was semi-retired and travelling in Europe when war was declared, and immediately left for England to offer her services to the Royal Army Medical Corps (RAMC) at her own expense. They refused her. The British Army would eventually relent on women doctors later in the war, but the Australian Army would not appoint a female doctor until 1943. If Mary and Helen were to serve their country at war as doctors, they would have to find their own ways. In June 1916, Mary sailed to London – her revolver packed – in case Colin, deployed to the Western Front after having survived Gallipoli, was wounded and repatriated to England. It was there, working in a hospital in London, that she learnt of his death at Pozières on 4 August 1916. 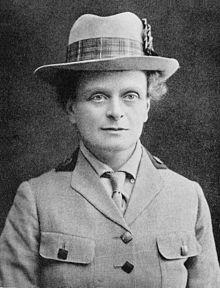 Rather then return home, a grief-stricken Mary was mobilised and joined the Scottish Women’s Hospitals (SWH), founded by suffragist and activist Dr Elsie Inglis. Formed to provide female-staffed mobile medical units, when they offered their services to the British Army early in the war, they were famously told to “go home and sit still”. The agitation in that phrase tells us much about the attitudes to women doctors, and the deep mistrust of the suffragist movement. But there was also something deeply psychological in that agitation, central to the war effort: war was men’s business, and men’s motivation in laying down their lives pivoted around women’s vulnerability, their need for protection. Giving women authority disrupted this relationship. It may be one reason why the French military establishment was able to accept the SWH, but not their own female doctors. France, like other allied forces, embraced the SWH and 14 mobile hospitals were set up near battlefields in France, Serbia, Greece and Russia, with women recruited from all over the Empire. Mary joined the SWH unit operating in Ostrovo, northern Macedonia, under the Serbian army on the Balkan (Eastern) front, taking over in 1917 as chief medical officer from fellow Australian Dr Agnes Bennet who was struck down with severe malaria. It was a 200-bed hospital, operated by 50 women, surrounded by camps of soldiers from the Serbian, French, Russian, Italian and Greek armies. It was run as a military hospital, with discipline, curfews and mail censoring. Women did every aspect of the work: as surgeons, nurses, ambulance drivers, mechanics, sanitation workers, cooks and orderlies. It was close to the front and Mary performed difficult surgery in all weather, battling flies and wasps, typhoid, dysentery and malaria. At Ostrovo between 1916-1919, 1084 operations were performed involving amputations, bomb and bullet wounds, compound fractures, hernias, and the removal of foreign bodies. The extraordinary strength of character required was perhaps not surprising in women who had gone against cultural mores, fought for equal rights, and were in effect pioneers even before war broke. While Mary De Garis aligned herself with the SWH, Helen Sexton’s way to the front was characteristically enterprising. Having already helped found the Queen Victoria Hospital, her response to the Royal Army Medical Corps’ rejection was to set up her own hospital at the front. She set sail for Melbourne to mobilise friends, funds and equipment, and returned to Europe to establish the Hôpital Australien de Paris for wounded French soldiers, or ‘petits blessés’, in a villa at the edge of the Auteuil racetrack. Established with French military status, it opened in July 1915 with 21 beds. Helen was appointed Médicin Majeure. Her case study notes have been recently uncovered by the Medical History Museum at the University of Melbourne. They reveal an extraordinary, frank, yet intimate portrait of a country at war. Helen records names, ranks, and the battles in which the injuries were sustained. Succinct, even cursory, notes describe incisions to remove the bits of clothing that have become embedded in a soldier’s skin following an explosion; she also has to remove half a bomb screw from his leg. There are reports of the terrible complications of disease, such as from typhoid, requiring the removal of dead bone from the jaw and teeth, an excruciating condition of which no mention of pain is made, probably too pervasive and too terrible to name. In between accounts of paralysis, gangrene and amputations is the occasional reference to the heartbreak of war. A soldier mentions that he has not heard from his wife and daughter, a child of eight, for a long time. The great, tragic irony for many fighting in Europe was that they would survive the fighting to find their families had perished. At the end of the war, 9 million combatants and 7 million civilians had lost their lives. The Hôpital Australien de Paris operated until early 1916. When it closed, Helen was invited to work as an assistant surgeon at the Val de Grace, a hospital specialising in facial reconstruction surgery, which was at the forefront of surgery at the time, requiring extraordinary skill. While the trenches might have afforded some protection from enemy fire to the lower body, the heads and faces of soldiers were particularly vulnerable, and many soldiers who survived blasts were horrifically injured. The responsibility felt by surgeons in restoring disfigurement that soldiers would have to bear for the rest of their lives, must have been enormous. These surgeries could not rely on antibiotics; penicillin had not yet been discovered. After the war Helen received the gold level of the Médaille de la Reconnaissance Française, presented to civilians who, in the presence of the enemy, performed acts of exceptional dedication. Mary De Garis was awarded the Serbian Order of St Sava III class as well as two British medals for her contribution in a place of peril and medical urgency. Both women were not recognised in Australia. Dr Helen Sexton and Dr Mary De Garis were not the only Australian women doctors who made their way to the Great War. Others included Dr Rachel Champion, Dr Hilda Bull Esson, and Dr Vera Scantlebury Brown from the University of Melbourne, University of Sydney graduates Dr Laura Foster, Dr Isobel Ormiston and Dr Elsie Dalyell, and Dr Pheobe Chapple and Dr Laura Fowler Hope from the University of Adelaide. Some of these doctors did work for the Royal Army Medical Corps in Britain once it relented and accepted women in 1917. But their officer rank was ex-officio and never formally gazetted. This had implications both during and after the war when the recognition of military doctors’ service had lasting career benefits. 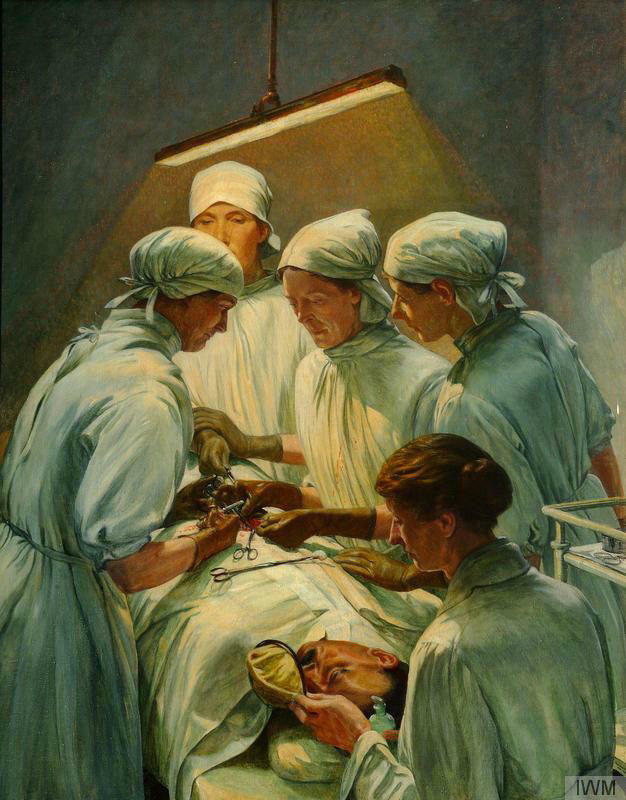 If the Australian and British Armies were not kind to women doctors, history has not been much kinder and they have been overlooked in official versions. As formal appointments and positions of influence were rarely given to women, official records of their work are scant, and researchers have had to piece together histories, relying on archives, letters, family collections and other evidence. But researchers on whose work this article has relied for information – such as Dr Heather Sheard, an expert on women doctors in WW1, Dr Ruth Lee who has written on Mary de Garis, and Dr Susan Neuhaus and Dr Sharon Mascall-Dare who have written on Phoebe Chapple – have done extensive work to finally bring these stories to light.